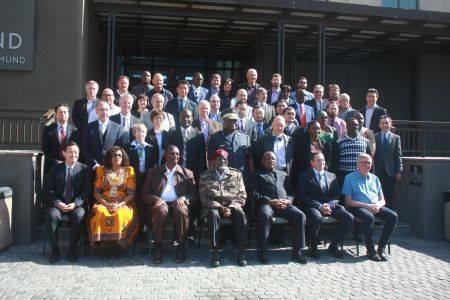 EXPERTS from all over the world gathered in Swakopmund to assess and also to improve the current safety management methods, regulations, test methods and best practices related to explosives in Namibia from a law enforcement point of view. The Minister of Safety and Security, Major General Charles Namoloh, officiated at the opening of the 19th International Conference of Chief Inspectors of Explosives and the 25th Explosives Propellants and Pyrotechnics Working Group and said the region has continued to develop its capacity in the area of explosive safety and intelligence sharing. 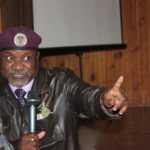 General Namoloh said mining plays a major role in the Namibian economy, acts as a magnet for foreign investment and is an important employer. 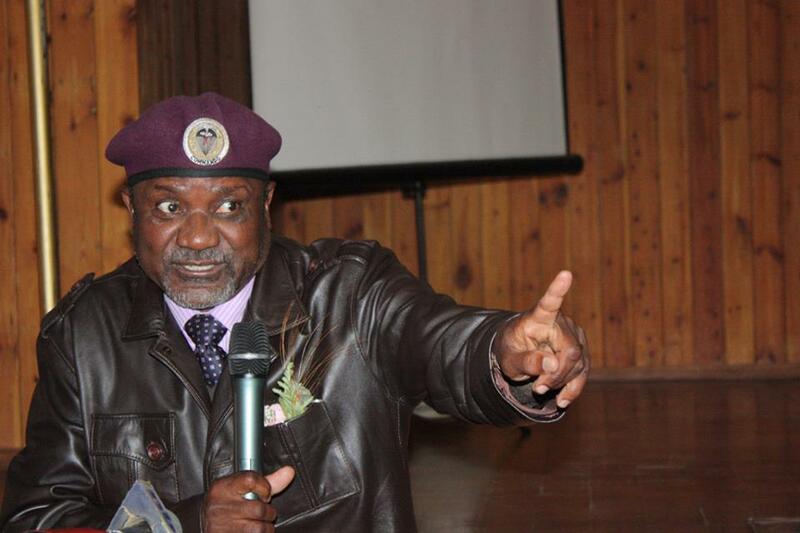 The minister said the mining industry requires large amounts of explosives and that the industry is of prime economic and social importance to Namibia. It is my pleasure to join this auspicious gathering of experts in the field of explosives and many others present at this occasion, which marks the official opening of the 19th International Conference of Chief Inspectors of Explosives and the 25th Explosives Propellants and Pyrotechnics Working Group. The importance accorded to the hosting of this event in Namibia eloquently testifies the significance that Riskom International and related industries attach to the creation of good standards on explosive safety. The International Group of Experts on Explosives and Unstable Substances started as collaboration among laboratories, focussed on research activities and gradually improved to unite laboratories, industries and authorities. Firstly, I was reliably informed that the agenda for the conference covers safety management, regulations for explosives test methods, accident analysis and, importantly, the continued improvement of best practices within the whole life cycle related to explosives. I am happy to note that our region has continued to develop its capacity in the area of explosive safety and intelligence sharing. Secondly, an escalating application of explosives in various areas, such as mining, civil construction of roads and tunnels, oil exploration and production, propellants – from small arms to rockets, and various safety devices, like car airbags and aeroplane safety devices, has given us this excellent forum to consider explosive safety and also an opportunity for our people to learn from a wide variety of experts with so much experience in explosive safety. Thirdly, this conference presents a unique opportunity to find strategies to the usage of explosives and safety measures, because the conference provides a platform to bridge information gaps, to share information on new technological developments, to generate ideas from which action plans can be developed, and to share knowledge. The potency of the dangers of explosives lies not in the use of explosives, but in the aftermath. The aftermath can result in death and destruction, which are horrendous in themselves. Together we need to be ready so that we respond rapidly and appropriately. Any government has a responsibility to protect its citizens from dangerous or hazardous chemicals or substances. At the same time, we recognize the importance and the need for development, within the set targets outlined in the National Development Plans. The Explosives Act of 1956 (Act 26 of 1956) and its Explosives Regulations of 1972 (GNR 1604 of 8 September 1972) as amended, regulate the administration and usage of explosives in the Republic of Namibia. The Government of the Republic of Namibia and the explosive industries have a responsibility to improve the way explosives are managed, investigate the benefits of technology in the flow of information and increase visibility along the supply chain. All these measures ultimately lead to better control and safety measures for explosives. It is a fact that the mining industry requires large amounts of explosives, and it is of prime economic and social importance to Namibia. It plays a major role in the Namibian economy, acts as a magnet for foreign investment, and is an important employer. It is our main duty to have explosive safety measures in such industries. I appeal to all participants to explore all possible solutions and share insights and experiences, so that we can anticipate any emergency and potential dangers, for the sake of our societies and for the sake of the citizens’ safety. In conclusion, I would like to stress that this forum should be used to enhance operational readiness and mission accomplishment by establishing aggressive explosive safety and regulation strategies. Namibia is developing as a mining country; and it would be impossible for us to develop and extract our natural mineral wealth without explosives. Therefore, at the same time, we have to ensure that explosive is safely maintained at all times. On that note, it is now my singular honour and privilege to declare the 19th International Conference of Chief Inspectors of Explosives and the 25th Explosives Propellants and Pyrotechnics Working Group officially open.